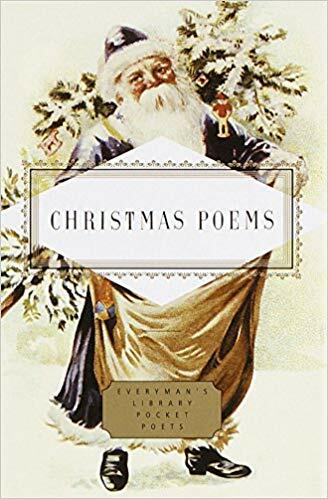 I was looking for a few last minute gifts when a small and lovely book of Christmas poems caught my eye. I love a book that fits in a pocket or in your purse. I love a collection of poetry that reaches back to the 17th century (Ben Jonson), stopping off among the Victorians (Sir Walter Scott), Emily Dickinson (her own category), and the modernists (T.S. Eliot) before reaching forward to the present (Donald Hall). I enjoyed it in the bath with a glass of wine and a candle and could not have been happier… you might like it too! Christmas can be stressful, and wine and poetry and a warm soak can help. What are you listening for this holiday season? Jennifer, these are peaceful and thought-provoking—-reflections on this lovely season. Thank you and Merry Christmas! These are so beautiful. What a gift to be able to pack multitudes into just a few carefully selected words. Merriest of Christmases to you! Lovely as peaceful! And a very different vibe from the song I was listening to (and strongly identifying with) on my way to work: I’m Drinking Through It, by Jack Ingram. I think that song has become my new Christmas anthem….